In the center of most galaxies (including our own) is a supermassive black hole. These black holes can have masses of hundreds of millions of Suns. Some are more than a billion solar masses. Active supermassive black holes can be extraordinarily bright. When active, these black holes are surrounded by an accretion disk, which generates tremendous heat. Matter streams from their polar regions, creating huge jets of material that races away at nearly the speed of light. How that energy is seen depends on how the galaxy (and hence the black hole) is oriented relative to us. If we view the galaxy edge on, then we mainly see the jets streaming outward, which produces intense radio energy, and we see them as radio galaxies. If the galaxy is tilted a bit toward us then we can see some of the accretion disk, which is so hot it gives off x-rays. These then appear to us as quasars. If our view is right above the pole of the black hole, then a jet is pointed in our direction and we see it as a blazar. But this assumes we can actually have a clear view of things. Some galaxies are incredibly dusty, which means our view of the black hole and its accretion disk is obscured. Even if the black hole is active it would be hard to see it through all the dust of the galaxy. This is where infrared astronomy comes in handy. Dust obscures shorter wavelengths of light, such as visible light and x-rays, but it doesn’t obscure longer wavelengths like infrared. When an active black hole is in a dusty galaxy, the energy it produces heats the surrounding dust, causing the dust to radiate in the infrared. As a result, the galaxies are somewhat hot, which is why they are known as hot Dust Obscured Galaxies, or hot DOGs (who said astronomers can’t have a sense of humor). These galaxies are not seen in the visible spectrum, but are very bright in the infrared. 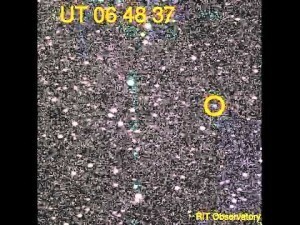 You can see this in the image above, which shows a small region of sky surveyed by the WISE space telescope. 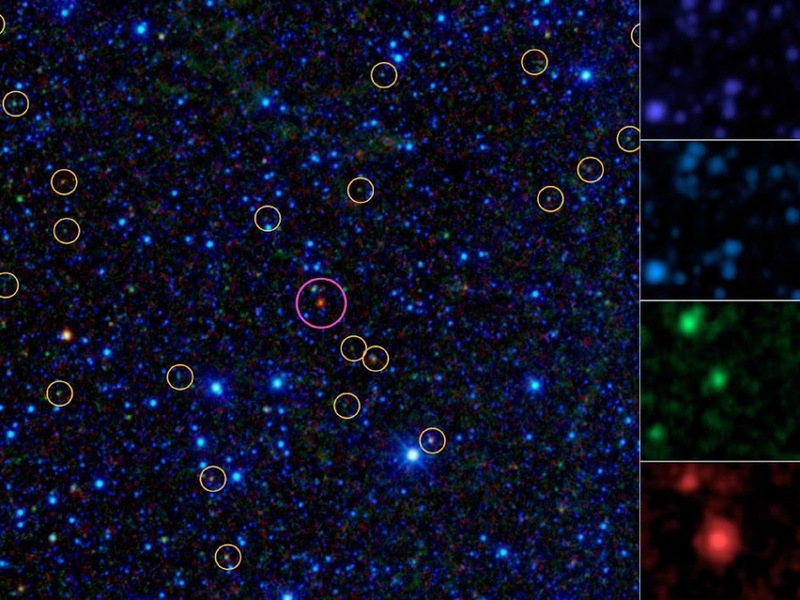 The circles indicate where these hidden black holes have been detected. The images on the right show a close up of the center circle at different infrared wavelengths, going shorter to longer from top to bottom. You can see that even in shorter infrared the galaxy is not very visible, but moving to longer wavelengths the galaxy soon appears quite bright. 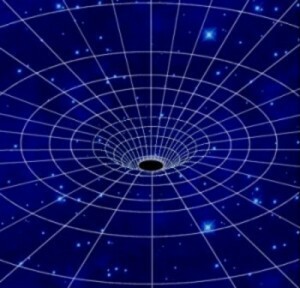 When WISE completed its full sky survey, about 1.6 million “hidden” black holes were discovered. Some of these are billions of light years away, which will help give us a better understanding of how these supermassive black holes evolve within galaxies.